On Madison’s east side, just west of Sherman Avenue, you’ll find the quiet shady Sheridan Triangle Neighborhood. Made up of just 220 households, residents of this triangular neighborhood enjoy open spaces and the great outdoors. No, Sheridan Triangle does not border one of Madison’s 4 lakes. Nor is it nestled in an urban forest. But bordered by MacPherson Street on the north, North Sherman Avenue on the east, Steensland to the south, and Sheridan Drive to the west, this almost-triangle is filled with residents that care about making the most of nature. And enjoying each other’s company. Made up of predominantly single-family homes, the neighborhood sits between Maple Bluff and Warner Park, with Brentwood Park along the northern border. Within the neighborhood, you’ll find the streets lined with mature shade trees. The lots tend to be small, but the yards are well-kept. It’s a great choice for anyone averse to mowing — many of the yards feature beautiful gardens — in both the front and back. And home prices are affordable here, just one of the factors that attract young families to the area. The Sheridan Triangle Neighborhood Association (STNA) was instrumental in adopting the Sheridan Triangle Park — where safety is as important to residents as amenities. STNA raised funds to purchase new and safer playground equipment. They also maintain 2 gardens in the park. One is the Daisy Patch Garden. The other is the Nanna Peterson native woodland wildflower garden. The neighborhood is known for its easy access to both downtown and the University of Wisconsin campus. Lake Mendota is a short 10-15-minute walk away. And Warner Park is home to the Madison Mallards baseball games as well as the Warner Park Recreation Center. The nearby Northgate shopping center offers both shopping and dining, while the Lakeview Library, located at North Towne Center, is another popular destination for Sheridan Triangle residents. It’s no wonder that neighbors think of this as “a walking neighborhood.” But if you’re more of a biker, Sheridan Triangle also boasts easy access to several bike paths. 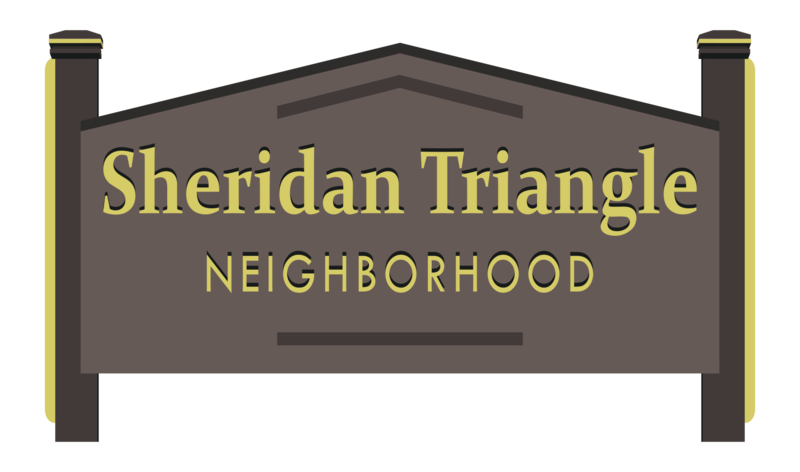 Like most neighborhood associations, Sheridan Triangle represents its residents in terms of city regulations, plans neighborhood social events‚ and of course, welcomes newcomers to the area. STNA puts out a quarterly newsletter and keeps an active Facebook page to keep neighbors informed. As for neighborhood events, it’s no surprise that the STNA plans an annual neighborhood picnic every August. There’s a lot to like about Sheridan Triangle!